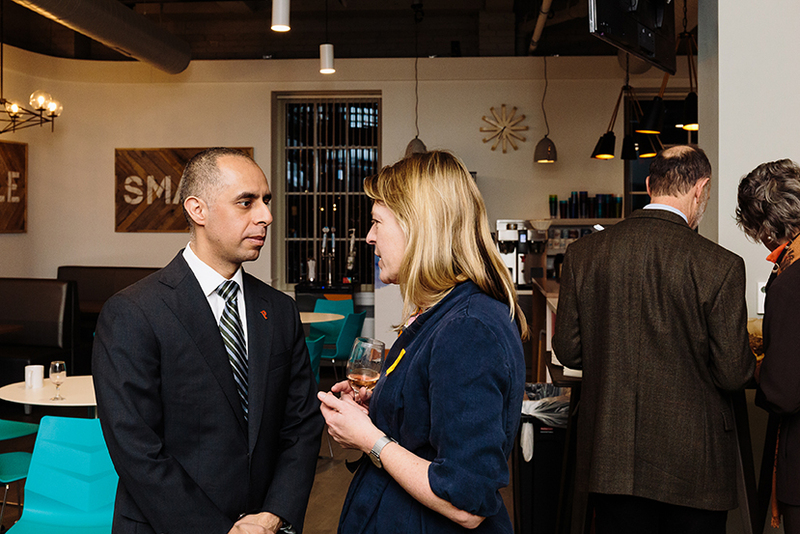 Does your business want to be more engaged with progress in downtown Providence? Are you looking for ways to contribute more and have your voice heard? The Providence Foundation is a membership based organization always looking to broaden its membership base and better reflect Providence’s population. The mission of The Providence Foundation is to create an environment that is conducive to growth and sustained investment, making Providence the premier mid-sized city in the country. The Providence Foundation champions for productive development and activation and represents the interests of business and property owners, residents and nonprofit institutions. The Providence Foundation is supported by approximately 140 leading corporations, nonprofits, and public sector institutions. As a member, you help shape the economic agenda for the future of Providence and beyond. Network with a dynamic group of business executives, public sector administrators, and community advocates at our monthly meetings, in issue based committees and at our public events. Unsure if The Providence Foundation is right for your business? Here are answers to 6 frequently raised concerns. Why should I join The Providence Foundation? No other professional organization gives you access to this unique mix of state and city government officials, as well as community leaders and business owners from a wide range of industries. Why should my small business pay to join an organization made up of wealthier businesses doing work I will benefit from anyway? An organization with such a big influence on decisions being made in our city and state needs a membership base that is reflective of the population it serves. The needs and concerns of your business are unique and will not be heard if you are not in the room to voice them. My business can not afford membership dues as high as what larger businesses can afford. The Providence Foundation offers a sliding scale of membership fees. They can work with you to figure out dues that fit your business’ budget. What does my business get out of membership? Your business gets a seat at the table with our community’s most important decision makers during discussions and advocacy surrounding major initiatives and regular quality of life issues Your business will find opportunities to network with business leaders at events and monthly trustee meetings, as well as invitations to participate on committees that affect your business. Why does Providence need The Providence Foundation, isn’t this what city government is for? Many of the projects that The Providence Foundation works on and issues it advocates for span many years and different administrations. The Providence Foundation forms strong partnerships with city staff to see that these legacy projects come to fruition. Why does The Providence Foundation want me as a member? The Providence Foundation realizes that it needs to be more reflective of the population of the city and wants more voices and perspectives to be involved in discussions that impact the whole city. Your perspective is valuable. Contact us for more information about becoming a member of The Providence Foundation.